There are many perks to working at Lord Cultural Resources, one of them is attending the opening of a client’s new museum. This kind of perk is always exciting, but last week, two lucky Lord team members enjoyed an opening on another order of magnitude. 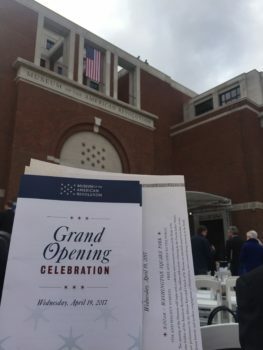 The Museum of the American Revolution opened on April 19th, 2017. 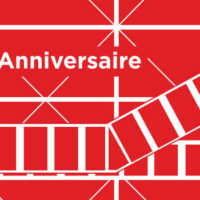 This was a long-awaited opening, and the celebration was porportionate to the anticipation. Philadelphia transformed itself for a day; it opened a window onto the long-gone days of its Revolutionary era. Men in bi-corn hats and impeccable 18th century uniforms marched in unison to fifes and drums while cameras streamed scenes familiar to Franklin and Hamilton to the rest of our 21st century world. 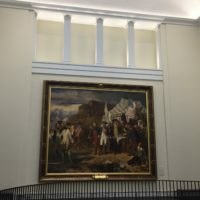 In telling the story of the American Revolution, we tend to talk about its great figures, its heroes; the opening had its fair share of inspiring American leaders. Many fine speeches were given. But the speeches did not just recount the ‘great epic stories’ of the American Revolution, such as George Washington crossing the Delaware or the Boston Tea Party, they also touched on the lesser-known but just as important personalities involved, such as Esther Reed, who noted political correspondent Cokie Roberts spoke of raising funds for Washington’s troops. These integral and not as well-known stories are what the Museum features in dynamic displays. Former Vice President Joe Biden speaks to an excited crowd. The atmosphere was buzzing with energy and excitement after the many inspiring speeches and rousing performances by Hamilton original cast member, Sydney Harcourt and students from The Philadelphia High School for Creative & Performing Arts. I was eager to get inside. With a resounding huzzah the ribbon was cut and visitors such as myself proceeded inside and up the impressive grand staircase. Making it up the grand staircase was certainly worth it! The opening of the Museum of the American Revolution was everything anyone could have asked for. 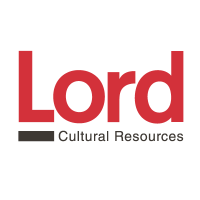 Lord Cultural Resources first began work with the Museum back in 2004, providing Operational Planning and Facilities Planning services. We were welcomed back in varying roles and capacities over a seven-year period as the project matured. 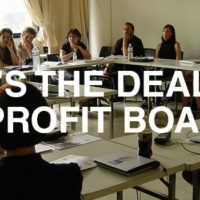 To learn more about our work on the Museum, visit our website.